If we think back 10 to 15 years ago, we could not have imagined shopping online or the increasing importance of online retail in today’s society. Now, we can shop for almost anything from our personal computers, smartphones and tablets; from anywhere in the country and have it delivered to our doorstep. According to an E-commerce report issued by Effective Measure / IAB South Africa during February 2014, roughly 23% of online shoppers in South Africa buy using their tablets and another 23% purchase using their smartphones. 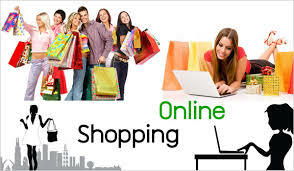 The online buyer is used to buying books, music, computer hardware, DVD’s, games, electronic equipment, home ware, clothing and accessories, cosmetics and health supplies, groceries, toys, sporting goods and even car parts online. These were some of the top sold items in South Africa during 2013, all contributing to what is estimated to be a 30% year on year growth for online retail. Last year, country director for Google South Africa, Luke McKend, noted that in 2014, South Africa is expected to have 80% smartphone penetration as mobile operators such as Vodacom and MTN are working to bring “sophisticated” devices to more people at a more affordable price. In the latest MasterCard Online Shopping Survey, we learnt that in 2013 around 4.6 million South Africans were considered experienced internet users – those who have been online for five years or more. “And as the new user base gains experience and confidence in online activities, their propensity to shop should convert into a regular online shopping habit,” said Arthur Goldstuck, MD of World Wide Worx. “In fact, taking into account the fact that a number of major consumer brands and chains have not yet devised comprehensive online retail strategies, the scope for future growth is even greater,” added Goldstuck at the time. From the survey, South Africans were clear about what sways their online purchasing decisions, with 90% of respondents noting that secure payment facilities and convenient payment methods were the most important considerations when making an online purchase. 41.68 % of respondents from the Effective Measure / IAB South Africa E-commerce report would be interested in using a prepaid credit card for online shopping. This shows the security consciousness of online shoppers, where the majority of the shoppers do not trust the online shopping websites’ security systems. “If you are an E-commerce player and you have no mobile strategy or no idea what you are going to do with the mobile platform, then chances are your business has already been left behind,” said Bryan Nelson, industry head at Google SA. Nelson pointed out that user adoption of mobile internet is outpacing E-commerce retail. About 32% of shopping online begins with a search on mobile devices. This is a problem experienced all over the world, but more so in SA because of the mobile penetration. He added that retailers need to look at this platform as adding to their business’s competitive-edge. “It is no longer in doubt that an E-commerce mobile strategy is paramount. With Google searches on mobile devices now exceeding desktops, a mobile strategy can no longer be ignored. If companies want to stay relevant and keep up with their competitors, a mobile strategy goes beyond giving their customers a better user experience but it’s also about ROI and increasing profits,” added Max Bellotto, Head of E-commerce Consulting at Digital Planet. When trying to define what the key to the success of online retail could be, one overlapping element can be seen as the biggest contributor across all the most successful E-commerce sites globally, and that is convenience. Increased ease of use and the convenience of instant access are the main factors in driving more and more shoppers to their mobiles. The migration to mobile browsing and shopping has triggered the development of mobile payment facilities which provide the same security, convenience and speed of payment as conventional online payment methods. According to home grown payment service provider Setcom Payment Solutions, the rapid growth in online retail in South Africa can be partly attributed to a clear shift in consumer perception of the security of the online retail environment. South African consumers have gained greater confidence in online payment facilities, and rightfully so. Many South African payment service providers, like Setcom, now comply with the highest global standards for payment data security. Our local online payment security is therefore right on par with our international counterparts. Declan Hollywood, Marketing Director at Takealot, said the company expects mobile to be a “critical” platform, contributing around 50% of its overall site traffic by end of 2014.” As the prices of smartphones decline, and the user experience on mobile Web improves, we will see more and more E-commerce taking place on these devices.” Other E-commerce players to jump on the mobile bandwagon by engaging users through apps include Kalahari.com and Groupon. Have you imagined how the electronic world of shopping around the globe could look like for consumers and businesses in the near future? For an interesting read the Global E-Tailing 2025 study describes the role which electronic retailing will play in people’s lives in the year 2025, how international online retailing will change consumer behaviour and thus the world of retailing as a whole. Otherwise, prepare your business for the rapid shift from Electronic-commerce to Everywhere-commerce by attending the Marketing Mix Online Retail Briefing SA on the 25-26 March 2015 held at the Sunnyside Park Hotel, Parktown in Johannesburg. Author Bio: Neil Watson the CEO and founding partner of Digital Planet. With over 15 years of experience, Digital Planet is the leading end-to-end E-commerce solutions partner in South Africa. Digital Planet’s full suite of services include consultation, front-end development, website management, warehousing and logistics, digital marketing and contact centre services. We Make It Work through scalable and customised solutions that suit our clients’ needs. This entry was posted in eCommerce Global, Ecommerce News, eCommerce South Africa and tagged commerce, ecommerce, everywhere, mastercard, offline sales, online sales, visa by e-Commerce News. Bookmark the permalink. ← Previous Previous post: The Transaction of the Future – How will we carry out transactions in just a few years time?